France is well-known for being a nation of gourmet food, style, and romance. While Paris certainly tops the list of tourist destinations within this European country, there are many more delightful things to see and experience within France. The center of France is located at 46.23 degrees North (latitude) and 2.21 degrees East (longitude). 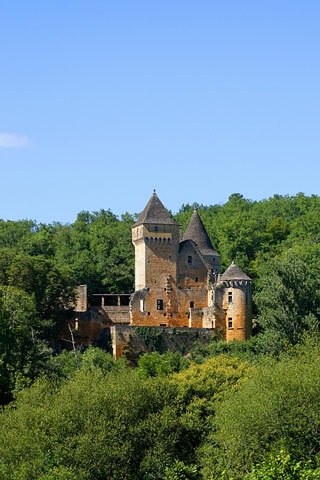 Part of the Aquitaine region in southwest France, the hilly town of Dordogne presents you with delectable wines, duck, foie gras, truffles, and wild mushrooms, all amidst valleys strewn with flowers and and medieval hamlets. You can take a leisurely bike ride along the Dordogne River, and visit the famous Cave of Lascaux, containing an exquisite repository of prehistoric wall paintings. Dordogne is approximately 6 hours by car from Paris, or 4.5 hours by train. Best times to go are May, June, September and October. Southeast of Paris, the Burgundy region, also known as Bourgogne, is home of traditional French cuisine such as coq au vin, and the definition of French provincial life. A centuries old network of rivers and canals can be traversed by barge, or you may choose to view vineyards and Middle Age castles from a hot air balloon. Visit village markets offering an array of fine cheese and fresh produce or participate in wine tasting and chateaux touring. Dijon, the capital of the Burgundy region can be reached by train from Paris in 1 hr and 20 minutes. The best times for barge trips are May, June, and September, and ballooning can best be enjoyed in May or September. 200 miles west of Paris lies the island village of Mont-Saint-Michel, perched on a dramatic granite outcropping rising from the sea. On this island of only 100 inhabitants, you will find a Gothic abbey sitting 500 feet above sea level, among gardens where Michael the Archangel is believed to have appeared in A.D. 708. 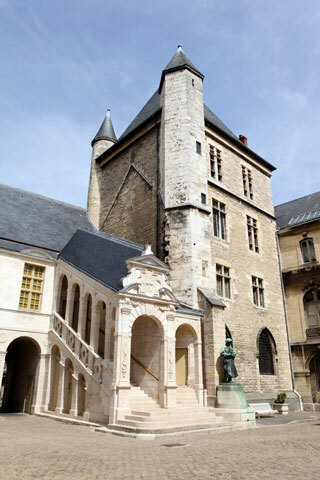 Explore narrow streets lined with curio shops, and discover La Merveille (the Marvel), a grouping of 13th century buildings within the abbey. Since 1888, the restaurant/inn La Mere Poulard has been famous for its gourmet cuisine and romantic accommodations. 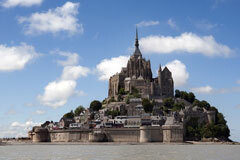 Mont-Saint-Michel can be reached from Paris by a combination of bus and rail, averaging 4 to 5.5 hours. Best times to go are during spring and fall. France is replete with romance and culture, from artistic urban cities to rural provincial villages, vineyards and castles. No matter where you choose to explore, France has something special for every visitor.